Mumbai’s film industry is deeply connected to and defined by the city itself—and so are the painted movie posters that have long been used to advertise Bollywood films. But modern printing techniques have rapidly replaced the traditional oil-on-canvas promotional art. 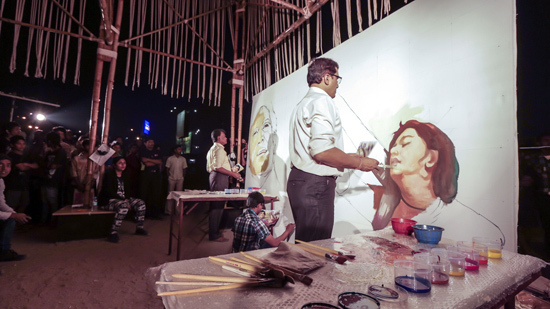 Experience a live demonstration from one of Mumbai’s oldest and most established billboard painters, and try your hand at it alongside some of Mumbai’s last remaining Bollywood artists. Participant: Balkrishna Vaidya, film poster artist. This event was conducted in English.